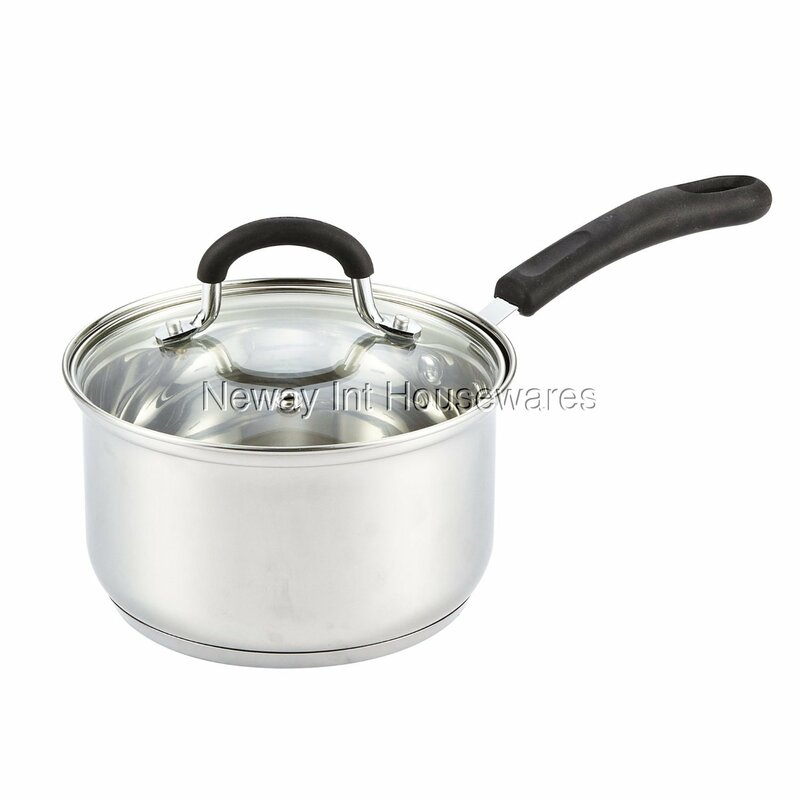 The Cook N Home 2 Quart Stainless Steel Sauce Pan with Lid is made of 18-10 stainless steel with an aluminum disc layered in the bottom. The aluminum disc provides even heat distribution and prevents hot spots. Tempered glass lid with steam vent makes viewing food easy from start to finish. Silicone wrapped handle gives a cool and comfortable grip. The handle is riveted for strength and durability. Induction compatible. Works on: gas, electric, glass, ceramic, etc. Not oven safe. Dishwasher safe, hand wash recommended. Induction compatible. Works on: gas, electric, glass, ceramic, etc.